This is one of the most decadent desserts and yet so simple too. Combine cookie crumbs, melted butter and the pecans. Press firmly into the bottom and up the sides of a 9 inch springform pan. Using a double boiler whisk together the milk and caramels until smooth. 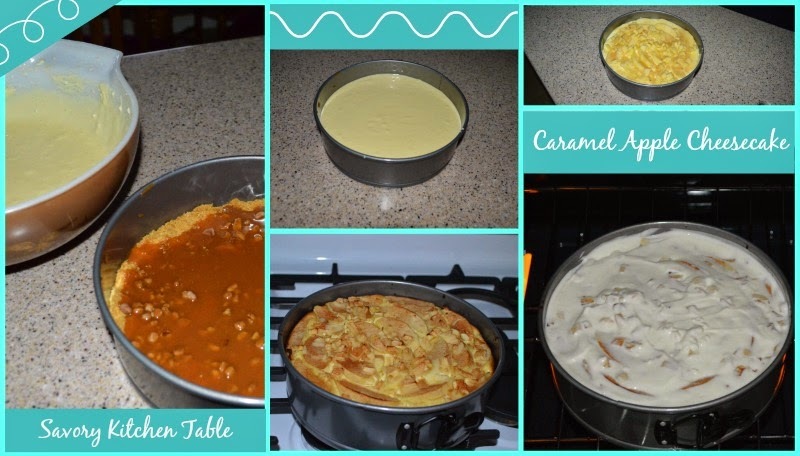 Pour half of the caramel mixture over the crust, refrigerating the rest for later. Refrigerate crust while making the filling. In a large mixing bowl cream the cream cheese until smooth. Gradually add sugar until well incorporated. Add eggs, one at a time, blending until VERY smooth. Spread mixture evenly over prepared crust. 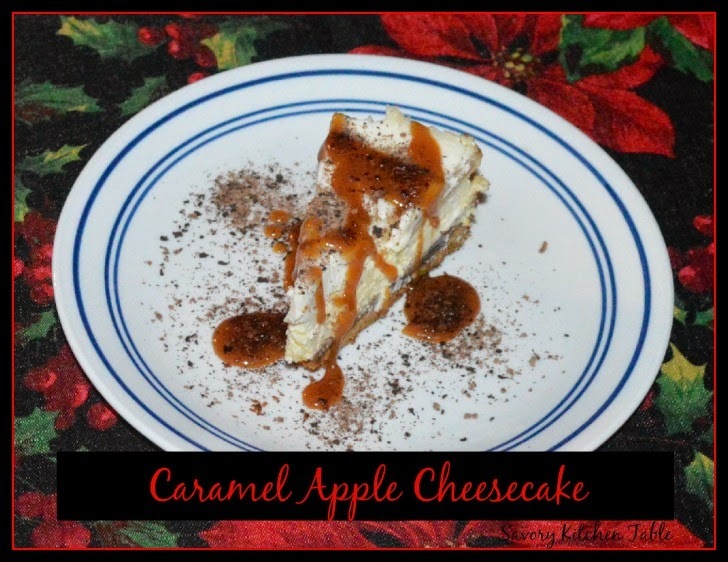 Arrange apple slices evenly over cream cheese mixture. Bake on enter rack for 50-60 minutes until set (center should be only be SLIGHTLY jiggly. Increase oven temperature to 475 degrees. Whisk together sour cream, sugar and vanilla until smooth. Chill at least 3 hours (I do 8-10 hours). Microwave reserve caramel sauce 15 seconds. Pour a small amount over each slice and then sprinkle with chocolate gratings and reserved pecans.